The school’s Data Protection Policy applies to the personal data held by the school which is protected by the Data Protection Acts 1988 and 2003. The policy applies to all school staff, the board of management, parents/guardians, students and others (including prospective or potential students and their parents/guardians and applicants for staff positions within the school) insofar as the measures under the policy relate to them. Data will be stored securely, so that confidential information is protected in compliance with relevant legislation. This policy sets out the manner in which personal data and sensitive personal data will be protected by the school. Obtain and process Personal Data fairly: Information on students is gathered with the help of parents/guardians and staff. Information is also transferred from their previous schools. In relation to information the school holds on other individuals (members of staff, individuals applying for positions within the School, parents/guardians of students etc. ), the information is generally furnished by the individuals themselves with full and informed consent and compiled during the course of their employment or contact with the School. All such data is treated in accordance with the Data Protection Acts and the terms of this Data Protection Policy. The information will be obtained and processed fairly. Keep it only for one or more specified and explicit lawful purposes: The School will inform individuals of the reasons they collect their data and will inform individuals of the uses to which their data will be put. All information is kept with the best interest of the individual in mind at all times. Process it only in ways compatible with the purposes for which it was given initially: Data relating to individuals will only be processed in a manner consistent with the purposes for which it was gathered. Information will only be disclosed on a need to know basis, and access to it will be strictly controlled. Keep Personal Data safe and secure: Only those with a genuine reason for doing so may gain access to the information. Sensitive Personal Data is securely stored under lock and key in the case of manual records and protected with firewall software and password protection in the case of electronically stored data. Confidential information will be stored securely and in relevant circumstances, it will be placed in a separate file which can easily be removed if access to general records is granted to anyone not entitled to see the confidential data. Keep Personal Data accurate, complete and up-to-date: Students, parents/guardians, and/or staff should inform the school of any change which the school should make to their personal data and/or sensitive personal data to ensure that the individual’s data is accurate, complete and up-to-date. Once informed, the school will make all necessary changes to the relevant records. The principal may delegate such updates/amendments to another member of staff. However, records must not be altered or destroyed without proper authorisation. If alteration/correction is required, then a note of the fact of such authorisation and the alteration(s) to be made to any original record/documentation should be dated and signed by the person making that change. Ensure that it is adequate, relevant and not excessive: Only the necessary amount of information required to provide an adequate service will be gathered and stored. Retain it no longer than is necessary for the specified purpose or purposes for which it was given: As a general rule, the information will be kept for the duration of the individual’s time in the school. Thereafter, the school will comply with DES guidelines on the storage of Personal Data and Sensitive Personal Data relating to a student. In the case of members of staff, the school will comply with both DES guidelines and the requirements of the Revenue Commissioners with regard to the retention of records relating to employees. The school may also retain the data relating to an individual for a longer length of time for the purposes of complying with relevant provisions of law and or/defending a claim under employment legislation and/or contract and/or civil law. Provide a copy of their personal data to any individual, on request: Individuals have a right to know what personal data/sensitive personal data is held about them, by whom, and the purpose for which it is held. Purpose of the Policy: The Data Protection Acts 1988 and 2003 apply to the keeping and processing of Personal Data, both in manual and electronic form. The purpose of this policy is to assist the school to meet its statutory obligations, to explain those obligations to School staff, and to inform staff, students and their parents/guardians how their data will be treated. The policy applies to all school staff, the board of management, parents/guardians, students and others (including prospective or potential students and their parents/guardians, and applicants for staff positions within the school) insofar as the school handles or processes their Personal Data in the course of their dealings with the school. Data means information in a form that can be processed. It includes both automated data (e.g. electronic data) and manual data. Automated data means any information on computer, or information recorded with the intention that it be processed by computer. Manual data means information that is kept/recorded as part of a relevant filing system or with the intention that it form part of a relevant filing system. Relevant filing system means any set of information that, while not computerised, is structured by reference to individuals or by reference to criteria relating to individuals, so that specific information relating to a particular individual is readily, quickly and easily accessible. Personal Data means data relating to a living individual who is or can be identified either from the data or from the data in conjunction with other information that is in, or is likely to come into, the possession of the Data Controller i.e. the school. any proceedings for an offence committed or alleged to have been committed by the person, the disposal of such proceedings or the sentence of any court in such proceedings, criminal convictions or the alleged commission of an offence. 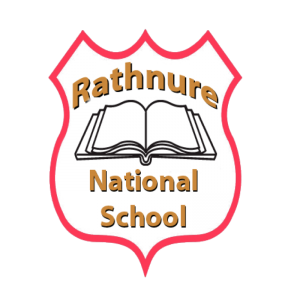 Data Controller for the purpose of this policy is the board of management, Rathnure N.S. In addition to its legal obligations under the broad remit of educational legislation, the school has a legal responsibility to comply with the Data Protection Acts, 1988 and 2003. This policy explains what sort of data is collected, why it is collected, for how long it will be stored and with whom it will be shared. As more and more data is generated electronically and as technological advances enable the easy distribution and retention of this data, the challenge of meeting the school’s legal responsibilities has increased. The school takes its responsibilities under data protection law very seriously and wishes to put in place safe practices to safeguard individual’s personal data. It is also recognised that recording factual information accurately and storing it safely facilitates an evaluation of the information, enabling the principal and board of management to make decisions in respect of the efficient running of the School. The efficient handling of data is also essential to ensure that there is consistency and continuity where there are changes of personnel within the school and board of management. Under Children First: National Guidance for the Protection and Welfare of Children (2011) published by the Department of Children & Youth Affairs, schools, their boards of management and their staff have responsibilities to report child abuse or neglect to TUSLA – Child and Family Agency (or in the event of an emergency and the unavailability of TUSLA, to An Garda Síochána). promote respect for the diversity of values, beliefs, traditions, languages and ways of life in society. We aim to achieve these goals while respecting the privacy and data protection rights of students, staff, parents/guardians and others who interact with us. The school wishes to achieve these aims/missions while fully respecting individuals’ rights to privacy and rights under the Data Protection Acts. Records of any reports the school (or its employees) have made in respect of the staff member to State departments and/or other agencies under mandatory reporting legislation and/or child-safeguarding guidelines (subject to the DES Child Protection Procedures). recording promotions made (documentation relating to promotions applied for) and changes in responsibilities etc. and for compliance with legislation relevant to the school. Location: In a secure, locked filing cabinet that only personnel who are authorised to use the data can access. Employees are required to maintain the confidentiality of any data to which they have access. Other records e.g. records of any serious injuries/accidents etc. (Note: it is advisable to inform parents that a particular incident is being recorded). Records of any reports the school (or its employees) have made in respect of the student to State departments and/or other agencies under mandatory reporting legislation and/or child safeguarding guidelines (subject to the DES Child Protection Procedures). to enable parents/guardians to be contacted in the case of emergency or in the case of school closure, or to inform parents of their child’s educational progress or to inform parents of school events etc. In respect of a work experience placement, (where that work experience role requires that the student be Garda vetted) the School will assist the student in obtaining their Garda vetting outcome (with the consent of the student and their parent/guardian) in order to furnish a copy of same (with the consent of the student and the student’s parent/guardian) to the work experience employer. Security: Identify the format in which these records are kept e.g. manual record (personal file within a relevant filing system), computer record (database) or both. [Describe applicable security measures, e.g. locks, padlocks, password protection, firewall software, adequate levels of encryption etc.]. Minutes of Board of Management meetings and correspondence to the Board which may include references to particular individuals. Purposes: To enable the Board of Management to operate in accordance with the Education Act 1998 and other applicable legislation and to maintain a record of board appointments and decisions. Location: In a secure, locked filing cabinet and that only personnel who are authorised to use the data can access it. Employees are required to maintain the confidentiality of any data to which they have access. (b) Purposes: This information is required for routine management and administration of the school’s financial affairs, including the payment of invoices, the compiling of annual financial accounts and complying with audits and investigations by the Revenue Commissioners. the gross amount of the donation. (b) Purposes: Schools are entitled to avail of the scheme of tax relief for donations of money they receive. To claim the relief, the donor must complete a certificate (CHY2) and forward it to the school to allow it to claim the grossed up amount of tax associated with the donation. The information requested on the appropriate certificate is the parents name, address, PPS number, tax rate, telephone number, signature and the gross amount of the donation. This is retained by the School in the case of audit by the Revenue Commissioners. (a) Categories: CCTV is installed in some schools, externally i.e. perimeter walls/fencing and internally as detailed in the CCTV Policy. These CCTV systems may record images of staff, students and members of the public who visit the premises. (b) Purposes: Safety and security of staff, students and visitors and to safeguard school property and equipment. (c) Location: Cameras are located externally and internally as detailed in the CCTV Policy. Recording equipment is located in the Principal’s office of school. (d) Security: Access to images/recordings is restricted to <state authorised person> e.g. the principal & deputy principal of each school. Tapes, DVDs, hard disk recordings are retained for 28 days, except if required for the investigation of an incident. Images/recordings may be viewed or made available to An Garda Síochána pursuant to section 8 Data Protection Acts 1988 and 2003. (a) Categories: The school will hold data comprising Standardised examination results in respect of its students. (b) Purposes: The main purpose for which these examination results and other records are held is to monitor a student’s progress and to provide a sound basis for advising them and their parents or guardians about subject choices and levels. The data may also be aggregated for statistical/reporting purposes, such as to compile results tables. The data may be transferred to the Department of Education and Skills, the National Council for Curriculum and Assessment and such other similar bodies. Our school policies need to be consistent with one another, within the framework of the overall School Plan. Relevant school policies already in place or being developed or reviewed, shall be examined with reference to the data protection policy and any implications which it has for them shall be addressed. Data in this school will be processed in line with the data subjects’ rights. Under Section 3 of the Data Protection Acts, an individual has the right to be informed whether the school holds data/information about them and to be given a description of the data together with details of the purposes for which their data is being kept. The individual must make this request in writing and the data controller will accede to the request within 21 days. The right under Section 3 must be distinguished from the much broader right contained in Section 4, where individuals are entitled to a copy of their data. Individuals are entitled to a copy of their personal data on written request. Where a subsequent or similar request is made soon after a request has just been dealt with, it is at the discretion of the school as data controller to comply with the second request (no time limit but reasonable interval from the date of compliance with the last access request.) This will be determined on a case-by-case basis. No personal data can be supplied relating to another individual unless that third party has consented to the disclosure of their data to the applicant. Data will be carefully redacted to omit references to any other individual and only where it has not been possible to redact the data to ensure that the third party is not identifiable would the school refuse to furnish the data to the applicant. Refer the request to the principal for assistance in difficult situations. No employee should feel forced into disclosing personal information. In our school the board of management is the data controller and the principal will be assigned the role of co-ordinating implementation of this Data Protection Policy and for ensuring that staff who handle or have access to Personal Data are familiar with their data protection responsibilities. When the Data Protection Policy has been ratified by the board of management, it becomes the school’s agreed Data Protection Policy. It should then be dated and circulated within the school community. The entire staff must be familiar with the Data Protection Policy and ready to put it into practice in accordance with the specified implementation arrangements. It is important that all concerned are made aware of any changes implied in recording information on students, staff and others in the school community. Parents/guardians and students should be informed of the Data Protection Policy from the time of enrolment of the student e.g. by including the Data Protection Policy as part of the Enrolment Pack, by either enclosing it or incorporating it as an appendix to the enrolment form. The implementation of the policy shall be monitored by the principal and a sub-committee of the board of management. At least one annual report should be issued to the board of management to confirm that the actions/measures set down under the policy are being implemented. The policy should be reviewed and evaluated at certain pre-determined times and as necessary. Next review during school year 2021/22. On-going review and evaluation should take cognisance of changing information or guidelines (e.g. from the Data Protection Commissioner, Department of Education and Skills or the NEWB), legislation and feedback from parents/guardians, students, school staff and others. The policy should be revised as necessary in the light of such review and evaluation and within the framework of school planning.